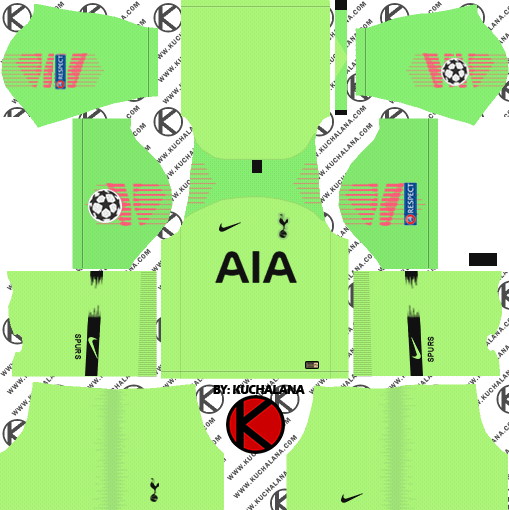 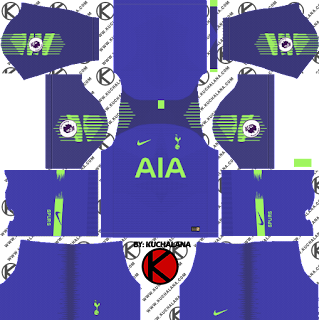 Tottenham Hotspur 2018/19 kits for Dream League Soccer 2018, and the package includes complete with home kits, away and third. All Goalkeeper kits are also included. This kits also can use in First Touch Soccer 2015 (FTS15). 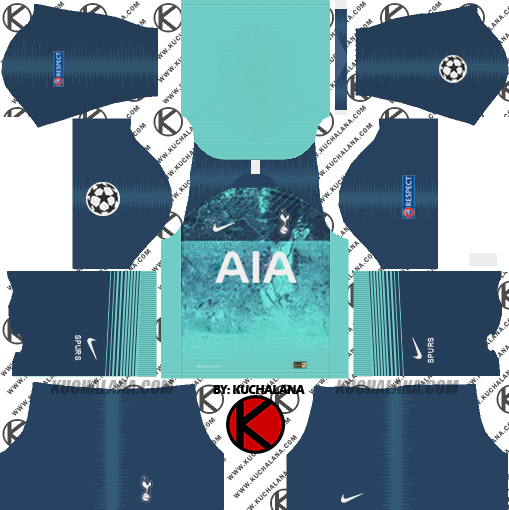 The local design is very similar aesthetically to that of Manchester United Kit, incorporating a gradient in blue at the bottom of the shirt on the white of the fabric, with thin horizontal lines. The blue continues in the pants and stockings, appearing in the upper part, where it ends and the white color reappears. 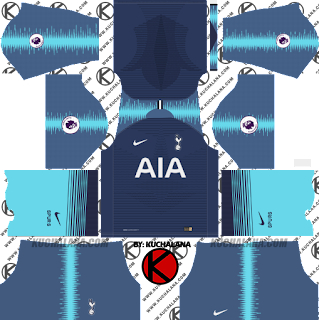 The design subtly aims to make reference to the architecture of the new stadium while creating a dynamic gradient from head to toe that reinforces the underlying explosive energy of our players. This will break in Europe, where the Spurs will wear white pants. The visitor kit uses the same template seen, for example, with Atlético, playing with colors, being in navy blue with touches in two other tones, one of them similar to turquoise. The inner part of the collars of both shirts have two details: in the local, the coordinates of the new White Hart Lane appear and in the visitor the hashtag #COYS (Come on you Spurs). The new garments are already on sale. UPDATED : Add Tottenham Hotspur 2018/19 third kit. The pattern of the Spurs 18-19 third jersey by Nike is an aerial depiction of the North London club’s location in the. 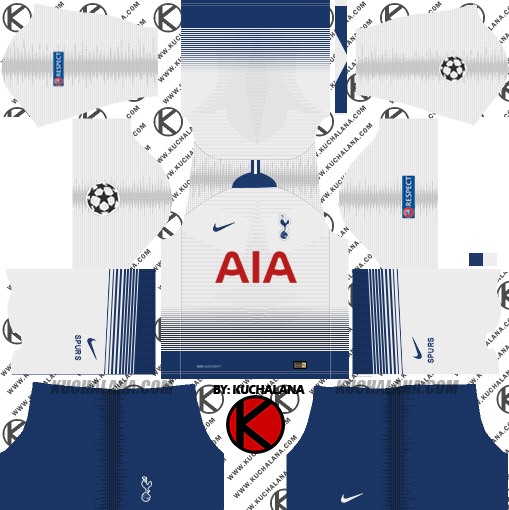 It shows the club's stadium as well as other important landmarks such as the River Lea that meets the River Thames in the south. 19 Komen untuk "Tottenham Hotspur 2018/19 Kit - Dream League Soccer Kits"
Can't be copied. The URL can't be seen when long touched. Do something. Please add the second pattern of home kit of tottenham 2018/19.